Hailing from New Hampshire, Rick Habib (drums, percussion, and vocals), Bob Lord (bass and keyboards), and Jon McCormick (guitars and vocals), have released their debut self-titled album, a mixture of hard-edged 70s rock, metal, prog, and Southern rock. Order of Thieves displays their sense of humor in their song titles: “Recreational Viagra,” “Tollbooth Goddess,” “Town & Oates,” and the concatenated “Drunkenmonkeyknifefight.” However the music is serious rock ’n roll. There is a range styles held together by Bob Lord’s nasty fuzzed bass. This power trio throws dissonant chords at you, sometimes adding gritty bits of Peter Frampton’s talk box. I would hazard a guess that “Town & Oates” is a nod to Hall and Oates, but I could be wrong. This song is an interesting mix of power chords, vocal harmonies, and horns mixed with Lord’s gritty bass. “Cherry Red” is 70s hard rock with some interesting chord changes. The song “Aviation” stands apart from other songs with Rick’s and Jon’s falsetto vocals, funk mixed with doom metal guitar, eerie electronics, shouted vocals, and a cool guitar riff outro. The album closer is the instrumental “Two in the Tomb” in the style of U2 and The Edge. There are multi-layered heavy metal electric and acoustic guitars that would be very difficult to play live. This track alternates between high energy rock and quiet electronic interludes. 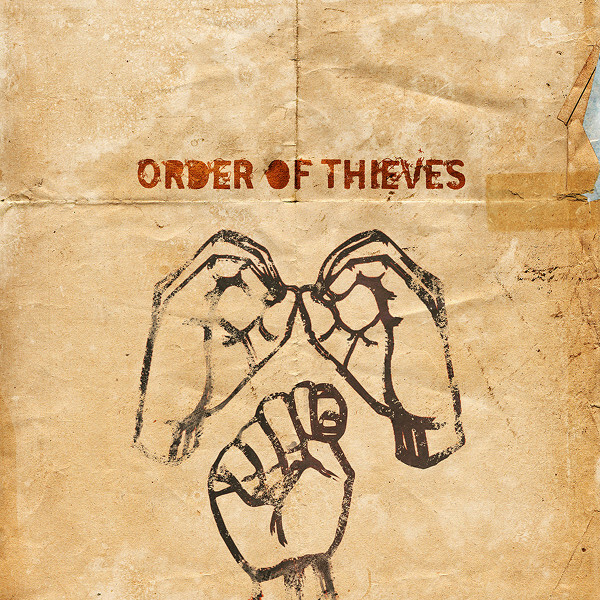 If you long for riffy 70s and 80s rock mixed with unexpected musical elements, then Order of Thieves might be for you.